Deciding between a BMW 4 Series or an Audi A5 is not easy. Both coupes fall into the luxury segment, flaunt outstanding horsepower, opulent cabins, thrilling features, and intelligent driving technology. BMW 4 Series is small but mighty and similarly, the Audi A5 offers equally exhilarating features. Whether a crossover or in a convertible form, both models give each other a tough competition. And to satisfy this technology-frenzy world, these high-tech cars have everything in order for 2019 and ready to impress. While the 2019 BMW 4 Series ups the level with its top-notch technology and smart-app integration ultimately setting a higher benchmark, the Audi 5 continues its conservative styling and a non-updated chassis for this year too. But that’s not just enough to declare BMW as the winner. As we get into each small detail through this side-by-side comparison, we will find out how BMW stacks up to this fierce competition. BMW 4 Series: What’s new for 2019? There is a host of upgraded features in the new BMW, which includes high-tech navigation, Apple CarPlay, uniquely built parking sensors, and many premium advancements. The 2019 model boasts an aggressively designed fascia, a beguiling chassis, and irresistible style that altogether make the 4 Series stand out. Here is a detailed breakdown of all the interesting features. BMW team has put a lot of effort to create a sensuous yet robust styling for the new 4 Series. These finest and luxurious coupes are designed to be efficient and noticed. Each body-style has something unique to offer, with the Coupe and Gran Coupe featuring stunning exteriors and the convertible boasting a refined frame with an appealing appearance. There’s the leather seating with wide choices of colors and texture, unique steering wheels, and a number of tech updates for 2019. The entry-level coupe looks classy from outside and brand new from inside with unique ambient lighting, iDrive infotainment system and a dual-zone auto climate control. Higher models receive fresh updates too with options ranging from outsized powerful inline engines, keyless entry/ignition and power-retractable hard tops exclusive for convertible coupes. Adaptive sports suspension, attractive interior details, heated steering wheel, and smartphone connectivity integration are other outstanding features that the new 2019 4 Series boasts. Behind the wheels of the new 2019 4 Series is the powerful 4-cylinder engine that accelerates to its peak in seconds and boasts high-speed stability and smoothness that every driver looks for. That means 4 Series has strong acceleration regardless of the engine or body style. The inline 4 engine is supported by the BMW’s unique 8-speed automatic transmission and AWD powertrains. 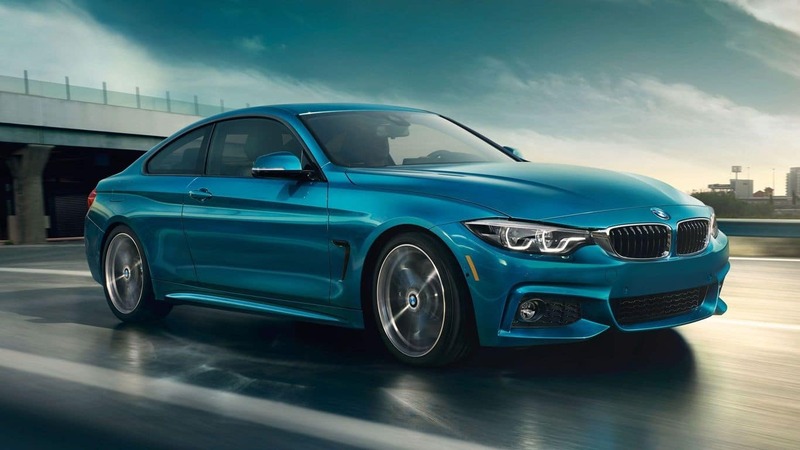 The 2019 BMW 4 Series coupe is an efficient automotive machine with a combined MPG of 27 and an EPA mileage estimate of 24/34 mpg for city and highway. BMW 4 is certainly one of the best athletic cars out there, which combines luxury with sports-car style performance and upscale comfort to offer users the best and most-enjoyable driving experience. Expect nimble handling and powerful agility from the 2019 BMW 4 as the twin-power turbo unleashes 320 to 444 horsepower in less than 5 seconds. Even on those rocky terrains and twisty roads, the 4 Series is always pleasant to drive. The 4 Series proudly boasts BMW’s exceptional safety features. The standard coupe has drivers’ assistive technology, stability control, auto-brake, and anti-lock disc brakes and a number of collision mitigation features. 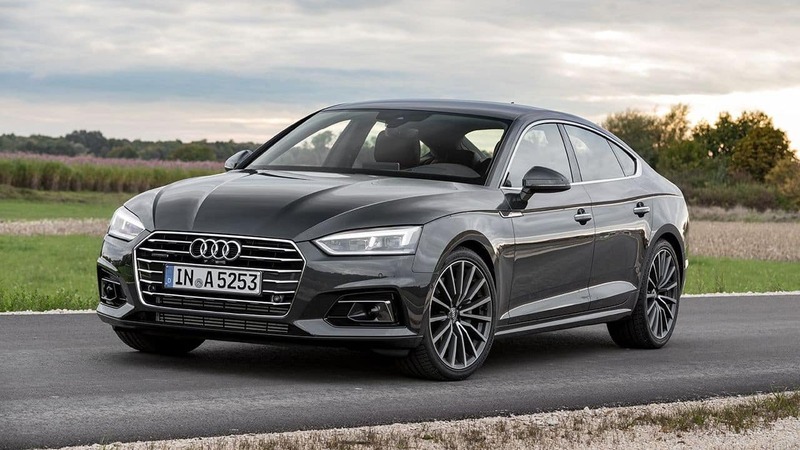 Now that we know what 2019-BMW 4 has to offer, let’s see how it competes against another German titan: The Audi A5. Here is a side-by-side comparison table. How Does The BMW 4 Series Win the Clash? Because both of these Germanic automobiles run literally neck-and-neck in this comparison, it’s difficult to pick a winner. But, we have a few reasons favoring the winner BMW. 4 Series’ 8-speed automatic surely outsmarts the speed-shifting seven-speed automatic of Audi. BMW’s upgraded infotainment system offers better features. J.D Power ranked BMW at the 8th for reliability whereas Audi gets the 14th spot. EPA-certification wise BMW 4 series is a Super Ultra Low Emissions Vehicle. BMW promised better handling and stability with a wider rear 1.1 inches bigger than A5 and has an even weight distribution. 4 Series also offers better maneuverability and handling with a shorter chassis, which is 3.6 inches shorter than the A5. Space-wise, BMW 4 Series is little roomier than A5 with better front legroom, a little extra headroom, and a larger cargo space. And, lastly BMW 4 outsold the Audi 5 by 86% in 2017. The 2019 Audi 5 is certainly a strong competitor and practically, a rip-snorting coupe with many outstanding features. But it fails to impress while competing against the 4 Series titan of BMW. Even though Audi swooped in to add more depth in styling, reworked on car handling and performance with the 2018-redesign, the small design tweaks, and smart technology improvements certainly make BMW a better choice.